During the winter, deer will eat bark, swigs, or just about any thriving plant for sustenance. If you notice the trees and shrubs surrounding your yard being slowly stripped of their bark and leaves at about waist height, you've more than likely had some deer stop by for dinner. The resulting damage will be tattered in appearance due to the deer’s lack of front teeth. So what can you do to prevent deer damage? 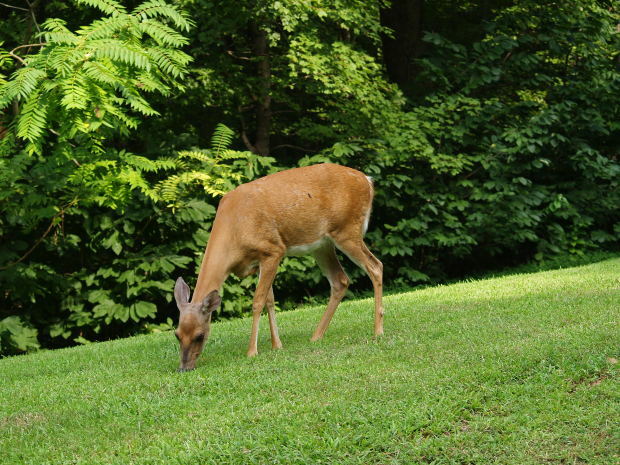 The first and most effective method of preventing an unwanted deer population from encroaching on your property is to avoid planting things that deer enjoy eating. In the winter months, they are not very picky about what they eat, but you can abstain from planting their favorites. Among those are cedar, yew, fruit trees, lilies, hostas, tomatoes, and cabbage. If you can, move the smaller of these into enclosed spaces. Deer dislike plants with thorns and fuzzy or leathery leaves. See your local Agway dealer for the best Deer Repellents!